Alisha Michelle Buchanan is a certified nurse practitioner by the board of the American Academy of Nurse Practitioners, and she is also board certified by the American Nurses Credentialing Center. She received her Bachelor of Science in Nursing degree from Auburn University and her Master of Science in Nursing degree from Gonzaga University. She graduated with honors, while being recognized by the Sigma Theta Tau International Honor Society of Nurses. Michelle has over 12 years of experience working in chronic and acute care settings. 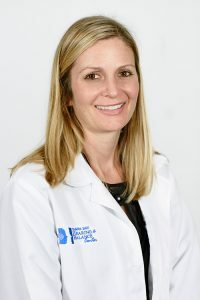 As a member of the Tampa Bay Hearing and Balance team, she collaborates with Dr. Bartels, Dr. Danner and Dr. Allen to provide high-quality, compassionate care. She is a member of the American Academy of Nurse Practitioners, Tampa Bay Advanced Practice Nurse Council, and Sigma Theta Tau.